Winx Club. . HD Wallpaper and background images in the Winx Club club tagged: winx club pictures. 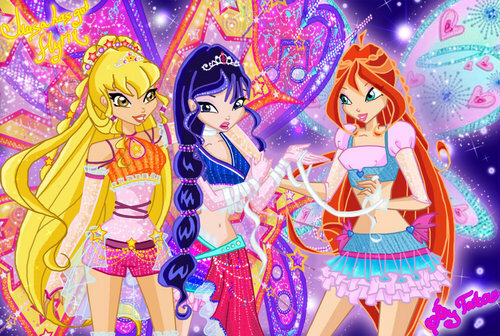 @WINXSUPERFAN: this is a picture of the artist by the name of Tata, she is from Russia. A lot of her drawings are in the gallery club. oooooh lorinna I too have this pick and this pick is actually from movie barbie and the three musketeers! lorinna the lier,and its not tata its tita understood?